Buy tickets online now via the red button below. Fun for all ages, from preschoolers to grandparents! Welcome to the Magic Circus. 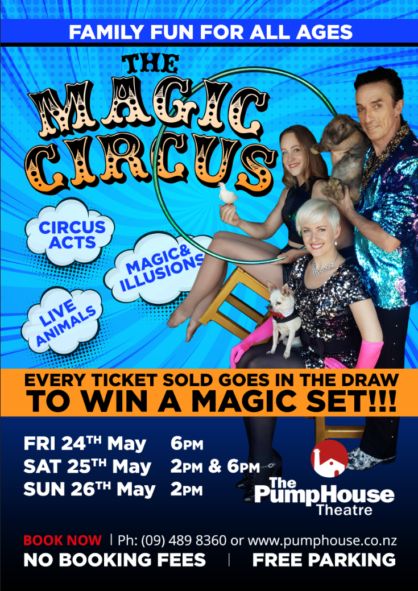 This show is more than just magic, it has amazing circus acts along with live animals! Meet Chocolate Lips the giant Rabbit, Chihuahuas and Doves. The show will also include some spectacular Illusions and Magic. Get ready for audience participation and loads of laughs! 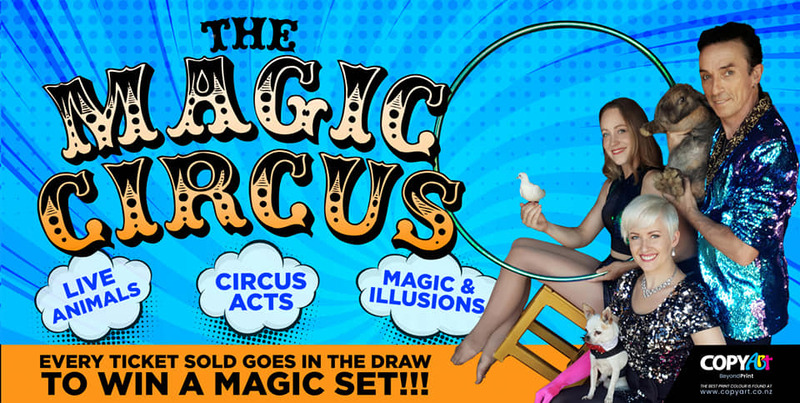 Each ticket from all the shows will go in the draw to WIN a magic set. Which will be drawn during the Sunday show. At the end of the show, grab a photo and meet the cast and animals!